The general lack of moxie attributed to Charles Bingley stuck in my craw from my first reading of Pride and Prejudice. I know for a certainty I am not alone in this. Two or so years ago there was a hotly contested thread about Bingley and the definition of personal responsibility over at the Meryton Literary Society’s A Happy Assembly site, and this little story was my response to it. Yes, Bingley is ultimately the author of his own actions. He allowed himself to be persuaded out of what he wanted—there is no disputing that. For me, the what-if of Bingley developing a spine became the next creative leap of faith. Not so much spine as to make him a regular Darcy—he has to still be his affable self—but rather enough his own man to realize he is miserable and sort out why for himself. So begins My Mr. Darcy & Your Mr. Bingley. The butler, whose name was Humphrey, pursed his lips, expressing in doing so as much disapproval as he dared. On the whole, the staff at Hurst Place did not find Mr. Bingley’s habit of altering their names to be amusing or even quite proper. Bingley asked after the morning’s caller as Humphrey made for the study door. “Who is it who has called, Humpy?” His tone was not a little bored. The morning’s post held no excitement. Before Humphrey knew what he was about, Mr. Bingley was standing so as to plunge one handle of the salver into his silk brocade waistcoat as he snatched the card. Humphrey knew there was no rational response to be made. Mr. Bingley tapped the calling card to his nose. “Roses!” He smiled widely and stepped around Humphrey into the passage. The servant followed and watched as Mr. Bingley dashed into the entry hall. “It has been five days, sir,” came the demure reply. The lady’s eyebrow rose, but she did not respond directly. “My aunt had business nearby this morning, and I wished to renew my friendship with your sisters. I had written—twice…” Miss Bennet quickly gave a little cough behind her hand. Humphrey wondered if he heard her say “twice” or did the lady clear her throat? “…I would be in town, but perhaps they have not had time to respond. The —ahem, first—letter was but a fortnight ago.” The clear blue eyes were lowered again. There was irony to be detected. The lady appeared alarmed, but looking up, was faced with a broad smile. She returned the expression. Mr. Humphrey thought her smile held some affection. Humphrey was as well acquainted with Mr. Bingley’s friend Mr. Darcy as a servant could be. He readily understood the lady wishing to be comforted on that score. Miss Bennet looked vastly pleased. Humphrey thought her one of the most beautiful ladies to ever visit Hurst Place. Mr. Bingley followed the lady onto the broad top step of the house. An expensively appointed landaulet was just pulling to a halt. “Let us remember this day. Let us have seven be our lucky number, shall we?” He bent and kissed her gloved hand, holding his lips against the thin leather for longer than seemed necessary. The lady blushed and grew agitated. Miss Bennet nodded with a happy smile and turned away. Humphrey could not be quite as pleased with it, and did not adequately hide the roll of his eyes, to be so addressed. A lucky day indeed. He took a greater liking to the lady caller, Miss Jane Bennet. 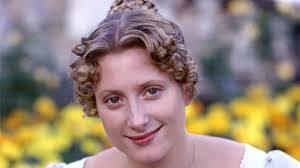 He hoped to see more of her, if her presence inspired such an improvement in Mr. Bingley. “Very good, sir!” Humphrey nodded and nearly smiled. 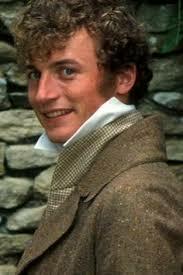 This was a very enjoyable look at Mr. Bingley! I like the butler character. After reading Pride and Prejudice several times myself, I have to say Mr. Bingley’s decision to leave Netherfield always bothered me. But when I think of how much we allow our families and friends to sway us at times I realize that it is easier said than done to follow our hearts. Look at Persuasion. I like this take though of seeing how quickly Bingley jumps at the chance to reunite with Jane. His alacrity is encouraging, isn’t it? In my forthcoming book, he has even more spine than this, but in essentials, he is his same dear self.